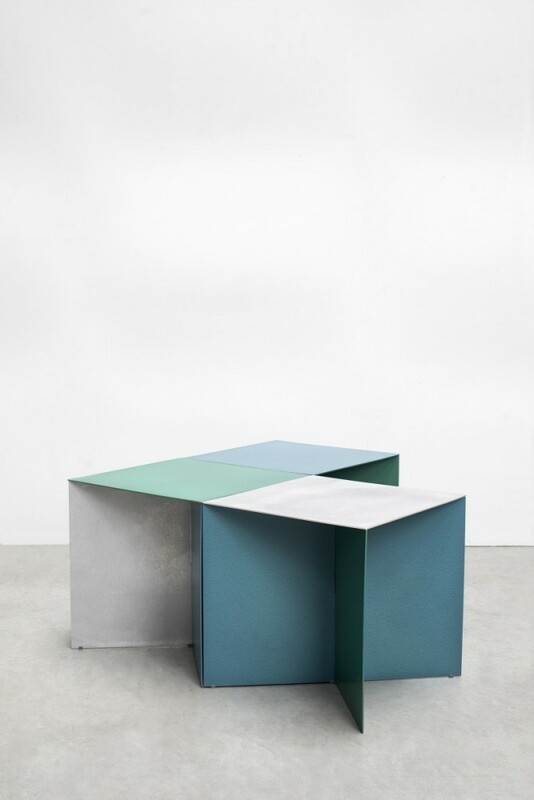 This 'Alu square' design by the Muller Van Severen duo is a lightweight aluminum bench or side table that opens up many possibilities for creating different types of structures in a room. 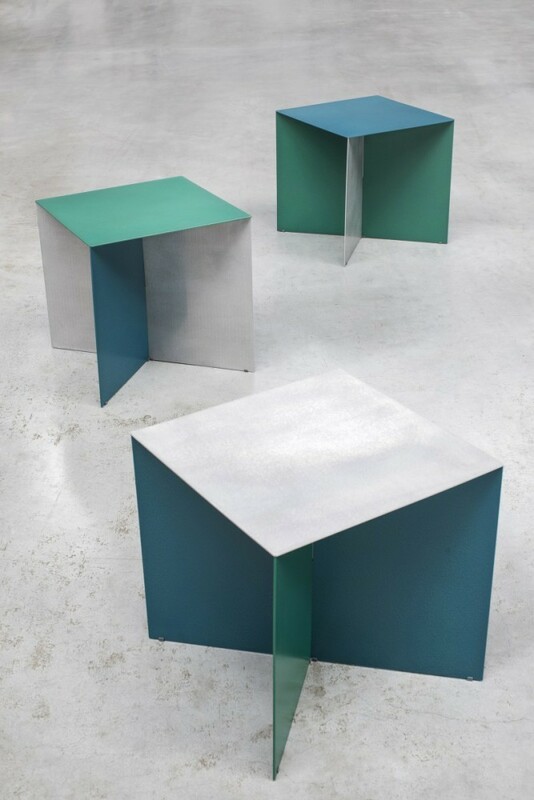 Originally, the alu square was designed for the Marcel Breuer building of the Metropolitan Museum in New York. Yet this square aluminum bank does not need a museum to feel at home. It can be placed anywhere, both indoors and outdoors. 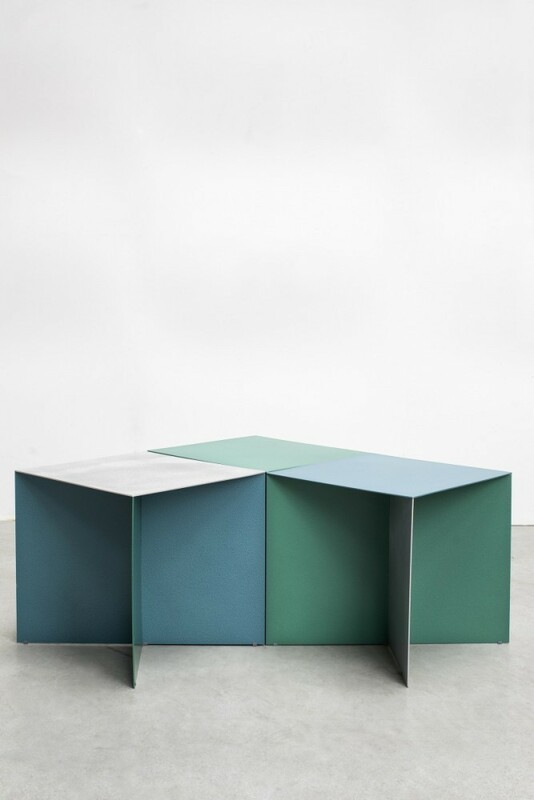 This minimalist item within the Muller Van Severen range consists of nothing more than three aluminum sheets in the colors aluminum, hammerpaint green and hammerpaint blue. 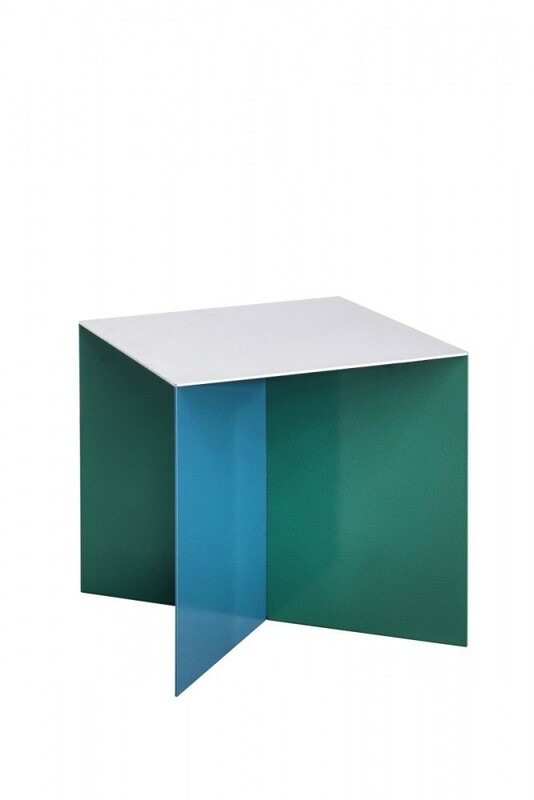 The version of the alu square that is available in our online shop is the one with the aluminum colored top layer. If you would like one of the two other color combinations, these can be ordered by emailing info@pietmoodshop.be. 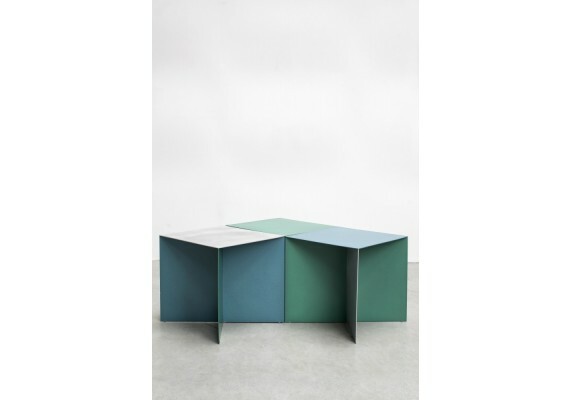 This table/bench is 45 cm wide, long and deep. 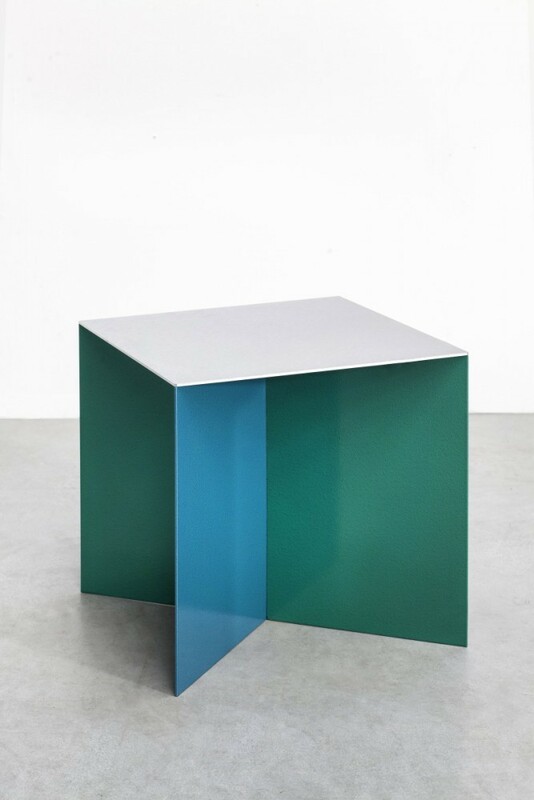 This aluminum piece weighs 12 kg.